Pictures from The Women’s March in NYC to Trump Tower. Hundreds of thousands of people showed up to the Women’s March in NYC today, beautiful event, lots of love being spread, lots of strength, lots of passion. Looks like this weekend was the tipping point, I know that I am certainly partly responsible being that I have not uploaded pictures from my Nikon or Leica in a long time. Very cool, Mr President is living up to one of hisÂ promisesÂ from the very first day, a more open government, with a blog and user feedback, take a look at this blog posting for more information. I’m liking the new site as well. Communication –Â Americans are eager for information about the state of the economy, national security and a host of other issues. This site will feature timely and in-depth content meant to keep everyone up-to-date and educated. Check out theÂ briefing room, keep tabs onÂ the blog(RSS feed) and take a moment toÂ sign up for e-mail updatesÂ from the President and his administration so you can be sure to know about major announcements and decisions. Transparency —Â President Obama has committed to making his administration the most open and transparent in history, and WhiteHouse.gov will play a major role in delivering on that promise. The President’s executive orders and proclamations will be published for everyone to review, and thatâ€™s just the beginning of our efforts to provide a window for all Americans into the business of the government. You can also learn about some of the senior leadership in the new administration and about the Presidentâ€™sÂ policy priorities. Participation –Â President Obama started his career as a community organizer on the South Side of Chicago, where he saw firsthand what people can do when they come together for a common cause. Citizen participation will be a priority for the Administration, and the internet will play an important role in that. One significant addition to WhiteHouse.gov reflects a campaign promise from the President: we will publish all non-emergency legislation to the website for five days, and allow the public to review and comment before the President signs it. 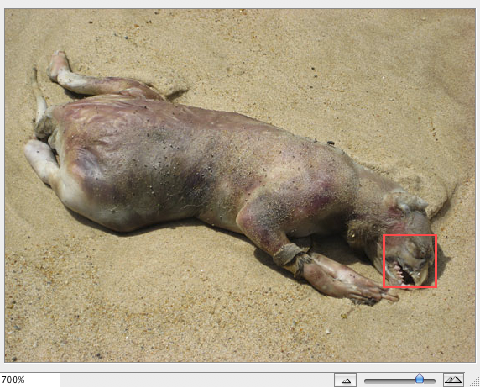 The Montauk Monster, Real or Clever marketing hoax? I spend my weekends in Montauk and have been for the last 8 years or so, I have a lot of friends that are both locals and weekenders. I did a little calling around about The Montauk Monster and not to my surprise, no one knows anyone who has see the alleged Monster. So a clever hoax? I belive so.